Date: Dec 6 2018, 4 p.m. - 5 p.m. Spark a love for good food and cooking in your child! 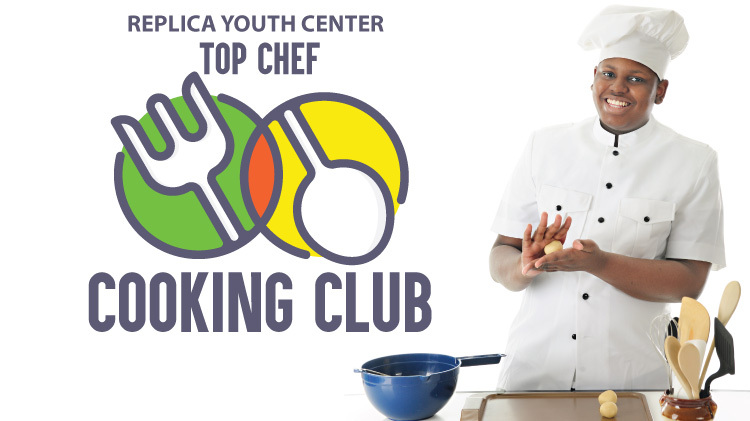 Replica Youth Center offers an after-school program Top Chef Cooking Club for youth in the 6th-12th grades. Join this club and let your teen advance their cooking skills, learn about healthy food choices, while having fun working in a team! This club runs every Thursday from 4PM - 5PM during the school year, and is open to CYS registered youth.